Nah, just kidding. Lovely basses you've got there. I was sorry to see that the purple thumb on ricardo was taken down. I would've loved that bass. I might acquire a 90 NT 5 from Sweden, so I can join this club! thx! sure that's no prob i'm searching myself everyday for another 5stringer especially thumb and stage1 narrow spaced! There's already a vintage section.Do we really need 2?? 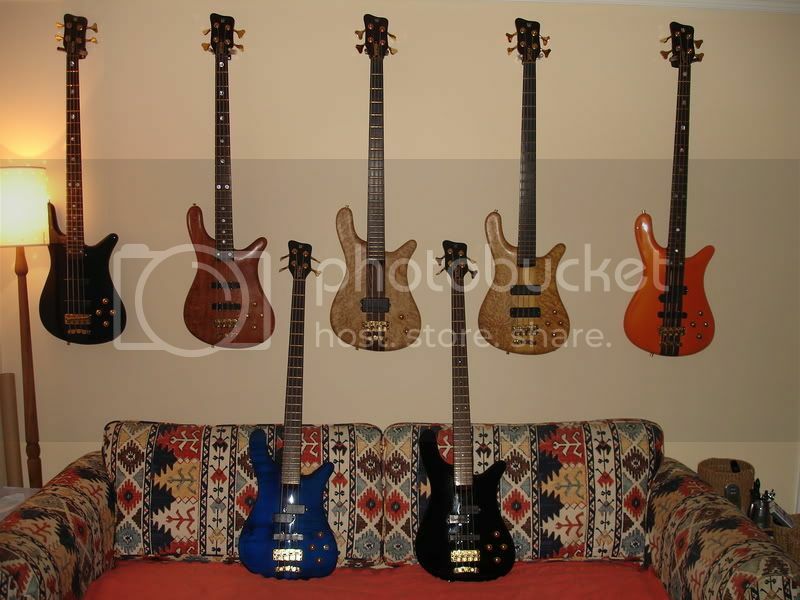 I know you sold the pumpkin bass but which others in that picture do you still have? 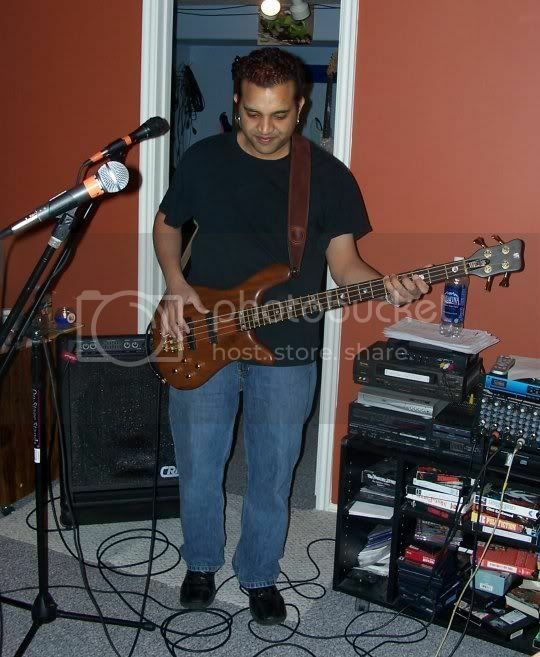 picture of me playing the '91 Stage II at a rehearsal. I still retain the SSII 2nd from left and the Ltd Ed with BE Maple 2nd from right. I've also managed to get back (sold it 10 years ago) a red SSI, which TBH is on a par with any SSI I've had but it isn't the best (the black SSI bottom right of my picture takes that accolade) but it was the first Warwick I ever bought. 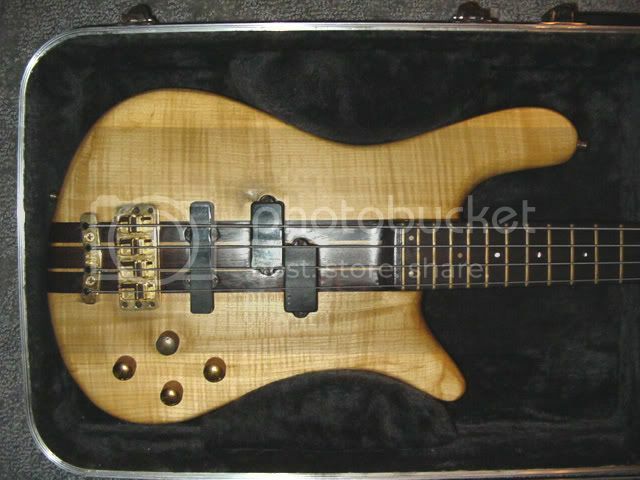 I've also acquired a SSI fretless with Barts for my latest music project. The rest have gone to new owners who are busy enjoying them and more importantly using them. I've managed to justify having the 4 Streamers as they are all 'very' different tonally, whereas when I had a couple of SSII and a couple of SSI they were essentially (but not exactly) the same tone but in different finishes. I also have the Dolphin which will be heading out to Canada fairly soon and my pair of Infinettes which I'm always keeping one of and the other I'm not prepared to give away cheaply. I now have a self imposed rule that for something to join the fold; has to be a Streamer and a different model to those I have OR if it is a similar model then the bass it matches has to go. That way they get used! they were narrow spaced for a short period before they introduced full maple neck and of course the broadneck! This is my Carvin rig with my new 1986 Sreamer I just traded another bass for. 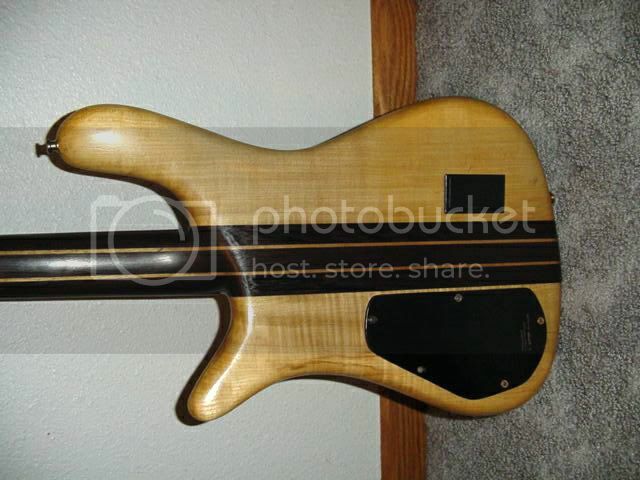 is bass rocks and even though I am pondering the idea of trading it or selling it ... I still i do not know if I will do it. more pics of the Streamer...had not been cleaned here yet. 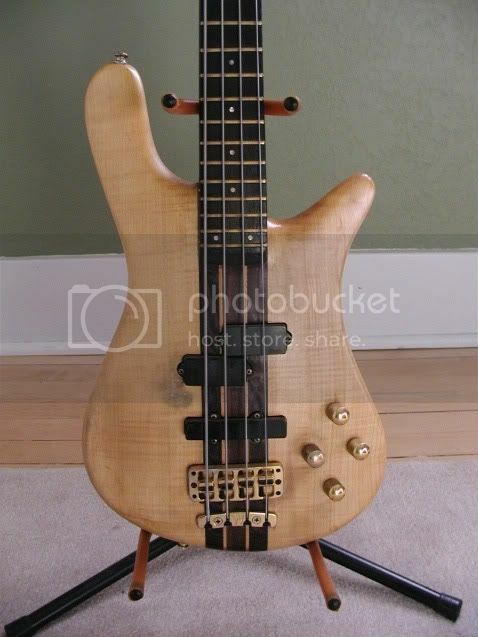 This bass remainds me of Lex' s Streamers and I consider this to be their great grandfather. Man, I don't think it's lost a thing. It looks amazing. you must be really pleased with it! when i say lost a tooth I was like it was the grandfather to yours but now since it has gotten older is losing strings (metaphor for losing teeth in humans). Sounds amazing. Great lows and mids, low action slaps and pops as none other of my basses and it is lighter. I did not like Streamers (and you all have read this from my posts) but that changed until i saw this one and played it..... blew me away! 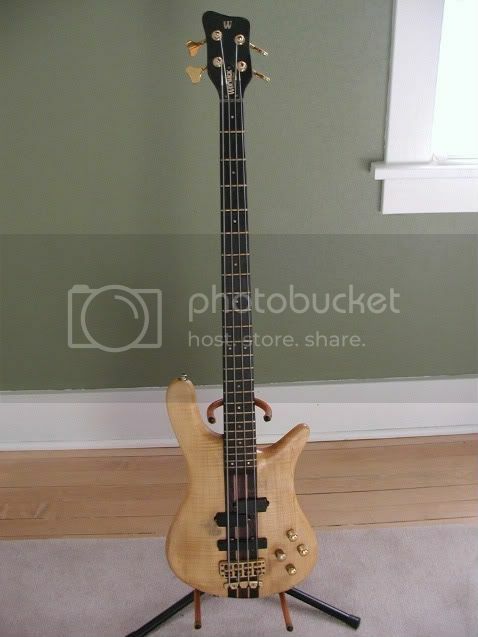 Still hesitant to sell or not since I usually play 5 strings and I miss my 5th string here but the sound makes me foprget it does not have a 5th string. I might try doing a BEAD to try it out or I might leave it like that. Has a few cracks (millimetric) at the bottom but wow this does not really matter that much. Also wanted to point out that these pics were before I cleaned it. I am in the process of cleaning it still and I have oiled the fretboard like 4 times (was very thirsty and the prior owner (21 years old) did not care of it as he needed or as a Warwick addict (i.e. me) would do). I am working overtime this week so I have not been at home that much to finish the cleaning but the nut is now very clean and shines. this weekend I will complete the cleaning and take some more pics. Ahh - now I understand... serves me right for skim reading. Hold onto that bass mate - it's a stunner. It's not a bad thing to have a 4-string in your arsenal! !